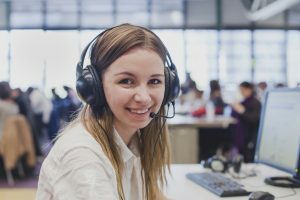 https://3ccontactservices.com/what-are-the-advantages-of-an-inbound-call-center/ What Are the Advantages of an Inbound Call Center? Steven 3CContact Services 2017-01-24T00:00:10Z 2017-03-17 06:06:13 Blog Array What Are the Advantages of an Inbound Call Center? What Are the Advantages of an Inbound Call Center? The benefits of having a call center in your organization are exhaustive. More than any other component of your organization, it is these people who will be speaking directly to your customers on a daily basis through inbound call center services. This is not a position that should be taken lightly. These conversations will shape how customers view your brand, will impact your customer retention, and can influence your bottom line in either direction. As we discuss the advantages of an inbound call center, keep in mind that it has become imperative for every business to carefully manage communication with customers. The expectations of customers have grown considerably over the past decade, thanks in no small part to the expansion of online networks. The Internet has made businesses not only have to compete with their local neighbours but has also bridged continents together as seamlessly as it has cities. Now, companies must think of their global competition as readily as they consider their local competition. This new reality has benefited customers, who now have nearly endless options for any product. It’s up to businesses now to differentiate themselves from their competitors, and one sure way of doing so is through supreme levels of customer service. This is why companies should seriously look into the benefits of call centers to business. Knowing this, the benefits of inbound call centers has become magnified. Not only must agents be accommodating, they must be knowledgeable, sensitive to a diverse group of customers, and expedient in finding solutions. 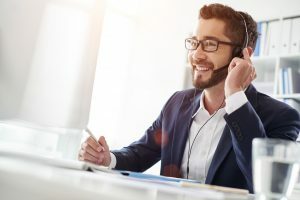 With all the pressure now put on companies to have a high level of customer service, here are some of the benefits of an inbound call center as well as advantages to having a call center in your organization. For small businesses looking to make a mark in their market, it’s imperative that they operate with the highest levels of productivity possible. This means allowing employees to handle the jobs they do best without worrying about doubling as customer service agents. An inbound call center team addresses this issue and provides small businesses with skilled agents who are trained to manage the increasing call volume that is expected for growing businesses. For a small business, hiring its own inbound customer service operations comes at a cost. In addition to paying each individual hire, a business must also take into account the time and cost it takes to train these employees. Not only does an outsourced inbound call center team come with experience, it also negates the need to worry about the fluctuating nature of many businesses. It’s difficult to predict call volume with companies that are still in their growth phase. With an in-house team, there may be months during which you might pay your agents full-time wages even when they aren’t needed. This unnecessarily raises your costs. With an outsourced inbound call center, your costs either stay the same or possibly decrease depending on call volume. We mentioned briefly that customer expectations have ballooned due to the prevalence of choices available to them. With that said, an effective inbound call center team can not only ensure your current customers are satisfied, but it can increase product sales as well. Convincing current customers to try new products is much more straightforward than attracting new consumers. When you are looking to launch a new product or promoting a current product, having agents speaking directly to customers is a huge advantage. An increase in sales is an increase in revenue, and additional revenue is what allows small businesses to remain competitive and initiate campaigns to retain their customer base. Whether you’re just starting your company or have been in business for decades, you better get used to these two words. More than ever, businesses must not just be product-focused but customer-focused as well if they hope to survive. Having a quality product is just the beginning and no longer good enough on its own to sustain a business or encourage growth. Inbound call centers help companies pay close attention to customers’ needs. By effectively engaging with customers, businesses can ensure their customers’ needs are always met and that they remain satisfied. Regardless of how great your business is operating, you are sure to lose at least a few customers along the way. Depending on the reason for these customers leaving, an inbound call center team can be effective in bringing these customers back to your brand. Through customer surveys and other outreach initiatives, agents can assess what caused the customer to leave and find solutions that will entice the customer to return. One of the biggest drawbacks to hiring in-house staff to deal with customer service is the financial commitment to equipment and technology. Not only are these high upfront costs, but these costs are ongoing and can put a damper on your revenue. Inbound call centers come ready with their own equipment and will be up to date with the technology needed to make communication with your customers as seamless as possible. Not having to come out of pocket for these costs means those resources can be put to use in other parts of your business. As a small business, you are presumably in a constant state of growth. With this growth come more customers, which lead to a higher number of calls being placed to your offices. If you are not prepared to manage these calls, phones are left unanswered and customers are left frustrated. This is not how you want to treat your customers. Working with inbound call centers means no call goes unanswered. You can feel comfortable with fluctuating growth knowing you have a team of agents on your side either way. With the global nature of today’s business climate, partnering with an inbound call center allows your business to be prepared for different time zones, different cultural sensitivities, and provide round-the-clock service so customers can call at their convenience. 3C Contact Services offers professional, experienced inbound call center service for a variety of clients. If your business is looking to improve its customer service, contact us today.